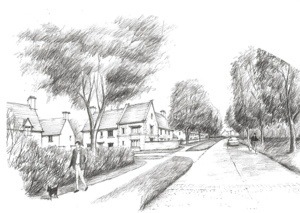 Sharba Homes has released plans to build 60 new homes on a piece of farmland on Churchill Road in Chipping Norton. The proposed development, immediately next to Tilsley Road, would, they say, create a new gateway into the town, and 40% of it would consist of affordable housing. Vehicle access would be onto the Churchill Road, with a footpath at the rear of the development down to Bliss Mill. 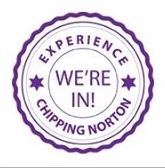 An exhibition about the plans is being held in the foyer of Chipping Norton Theatre on Saturday 23 February between 10.30 and 3.30. Details are available from the website, here. In addition, a public consultation into the plans is open, with comments welcome until Sunday 10 March. If you have any comments, leave them on the contact page on the website, or go to the exhibition, where the developers will be present. After the consultation ends, Sharba Homes will consider responses and then intend to submit a planning application to West Oxfordshire District Council. This entry was posted in news and tagged development, exhibition, houses, neighbourhood plan, public consultation. Bookmark the permalink.